2019 Urban Agriculture Grantees Announced! 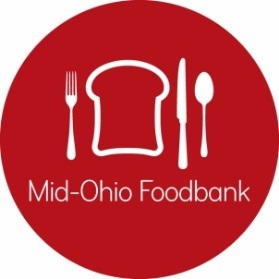 In order to grow and provide more fresh produce to our hungry neighbors, Mid-Ohio Foodbank has awarded local projects grant funding. Check out our Urban Agriculture Grant page to learn more. Mid-Ohio Foodbank CEO Matt Habash sat down with the Columbus Dispatch editorial group to explain the connection between food and health. Click here to read how Mid-Ohio Foodbank is leading the way to create healthier, hunger-free communities. If you need emergency food, help is nearby. We distribute food to about 650 food pantries, soup kitchens, shelters, after-school programs and senior housing sites in central and Eastern Ohio. 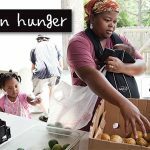 Understanding that Food is Health, we tirelessly work to provide multiple points for our hungry neighbors to access the foods they need to live, work and play. An online tool that depicts what hunger looks like in each county across the Foodbank’s footprint and the collaborative process used to bring everyone together. 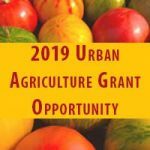 2019 Urban Agriculture Grant Now Open! In order to grow and provide more fresh produce to our hungry neighbors, Mid-Ohio Foodbank is pleased to open the 2019 Urban Agriculture Grant. You can be the critical link between hunger and hope.